Interested in our books? We have been busy bees behind the scenes this year. We are currently producing several of our books into the new format of an eBook. These come directly to you in just MINUTES! You are free to print a copy or add them to your favorite reader and begin using our books immediately! Want to learn more? Here we have links that will lead you to pages about each of our eBooks or if you are in a hurry, you can add them to our quick and easy shopping cart now. All of these titles are available for purchase through our shopping cart–just click the links on each page for ORDER NOW and you will be directed to our completely secure shopping cart. It is that EASY! Take a look at them today. You will LOVE them! Want a great basic book to help you jump right into homeschooling OR into implementing the Charlotte Mason Approach? This is it! Whether you need help learning how to teach the various subjects…you are encountering a rough spot in homeschooling… or you would like to learn how to use the time tested ideas of Charlotte Mason, this book will be one of your favorites. Written in the typical style of Cindy Rushton, this book includes practical information on the basics of the Charlotte Mason Approach...how to teach all of the subjects in an easy way…how to implement the various aspects of her philosophy in an easy way...and an idea of a typical (ha!) school day in a Charlotte Mason Homeschool... PLUS! An extensive list of recommended resources! Recently revised! You will love the new book! Do you just LOVE the holidays? This book was Cindy’s MOST FAVORITE book to write. She wrote this book as a gift to her children so they would have all of those precious “Family” recipes and ideas that were part of their family traditions. Now, this is available for you and your family as well! Lots of recipes and ideas for making Christmas special while focusing on Jesus Christ during the season. Don’t be fooled by the title. The recipes are great for teatime and family gatherings all year! There are sadly more days than I care to share with you that I find myself mid-afternoon, with NO IDEA of what to cook. Time runs out and I have a hungry bunch surrounding me in dire need of nutrition and full tummies!Relate? Well! I have SUPER news! We have compiled a new cookbook, along with 25 real moms from our Talk-a-Latte online classes. This one is TOPS! This is a book that you simply CANNOT miss! It is full of the best recipes you will ever find in one resource! You can cook ANYTHING in a Crock-Pot--easy meals, side dishes, even desserts. And...these mommy pals have shared the best of the best recipes that you can make TODAY! Don’t miss this one! This book has been compiled by Matthew after MANY requests! If you find yourself at a loss for Copywork from time to time, this one is going to be a MUST! Matthew has included his favorite quotes, photos, songs, and prayers from his Civil War Notebook (which he has compiled through the years). If you are needing inspiration for your young writers, help on those days when you are drawing a blank, or a wonderful addition to your Civil War Unit Study, you will want this book! When I asked myself, “What would I want for YOU to take home with you from our Retreats?? ?” This syllabus became my answer! Not just articles and tips on what we speak about during the retreat...but, much, much more! We have articles sure to encourage and equip you for your calling by the Rushtons...shopping lists...tips... booklists... plus more! Don't miss this book! The Hidden Woman of the Heart Bible Study is the result of Cindy’s quest to seek for real answers and an accurate picture of what God wants in a godly woman. Cindy has spent her entire marriage digging into the Word for God’s plan for godly womanhood. After all of these years, her own study and notes are finally available for others to join her in this journey through Scripture. Want to “dip” into the study? We have each section of the study ALSO available in separate guides--see more information on those by clicking the name of this book above. Got your attention? Where are you? Time for High School? Overwhelmed at just the thought, much less, getting it all in during these years? Bogged down with credits, college, transcripts? Is it hard to balance High School with your busy home, Homeschool, and extracurricular activities? Ready to give up, quit, find the nearest bus stop??? This is YOUR book! In this book, Cindy gives you a glimpse into her own home, her very own Homeschooling High School, to show you how High School can be EASY too! Homemade books! YES! YOU CAN be a writer too! 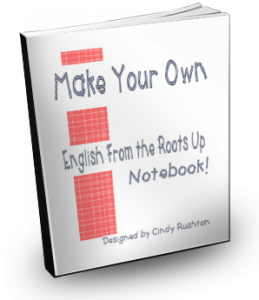 Join Cindy Rushton as she pours out all of her ideas and tips for one of her beloved mainstays in homeschooling--writing books. Do you need ideas for encouraging your young writers and QUICK? Are you ready for a FUN way to encourage your most reluctant writer and like it? This is going to be your favorite book. You simply cannot miss this one! Grab it today! 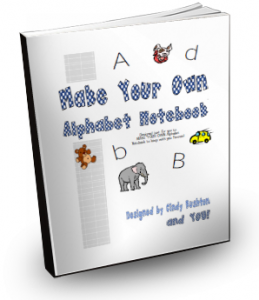 Just when you think that Cindy Rushton has brought the best books to us, she finishes yet another that we can call, “THE BEST YET!” Want a peek into another homeschool? Whether you are just now getting started...or you have been homeschooling for millenniums (REALLY!! 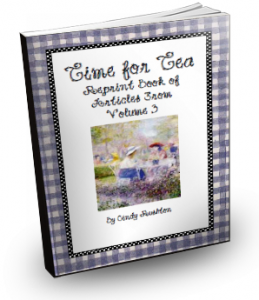 ), this manual by Cindy Rushton is sure to encourage and inspire you. Our Homeschooling The Easy Way Manual was developed in response to the cry for an EASY approach to homeschooling. Chapters in this book are a potpourri of Cindy Rushton’s writing through the years. Although once scattered among the many books and magazines that she has produced, this manual is compiled to include Cindy’s favorite articles for helping YOU to begin (or Re-start!!) your homeschooling journey on the right track! Need MORE help homeschooling the EASY way? Well, this book is just for you! 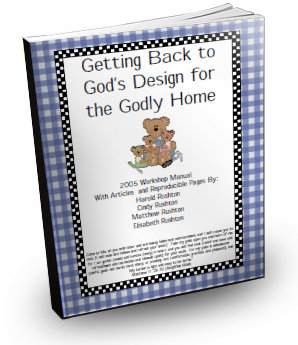 Our Homeschooling The Easy Way Magazine is published with the goal to encourage a return back to God’s design for the godly home and homeschool! Each issue includes articles that encourage homeschooling with a lifestyle of real learning that returns to the OLD PATHS that have worked for centuries. Topics range from hearing God in your homeschool to balancing all of the many demands that the busy homeschool mom faces day-to-day to teaching lessons in a simple, EASY way to VERY practical ideas that are sure to make homeschooling in your home EASY too! This volume includes even more great articles from Homeschooling the Easy Way. Click the name above to check out all of the articles that are included. You won't want to miss this one! Not one single area of your life will be left out as Cindy helps you to get your homeschool organized now. This book has quickly moved to the top of our books as one of the best-selling books of all times. I think you will see why very quickly. Just take a look at this list of chapters from this book by clicking the link above. You will want to grab this book and keep it handy. Let's get organized together! Ready for a fun and easy way to give your children a flow of history while introducing them to great people? Need a little help in pulling together your history studies? Ready to teach History The EASY WAY??? Join Cindy as she takes you through the basics of teaching History The EASY WAY while showing you how to make your own history timeline notebooks! Cindy will show you how to set up a basic timeline notebook while you try your hand setting up YOUR OWN pages! Cindy will give you some cute ideas for making your own timeline figures by using the resources that you have already. This booklet goes even further! 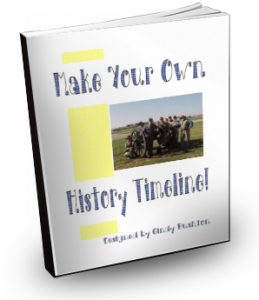 It includes very practical how-to’s and ideas that are sure to help you make history lessons doable AND easy! If you are needing a bit of help for planning your lessons, breathing more life into your studies, or just knowing how to document what your children are learning, this is a booklet you won’t want to miss! Have the Lapbooking fever?? Watch out! You are sure to catch the Lapbooking bug! Are you ready for a FUN way to encourage your most reluctant writer to write AND like it??? Not sure if you want yet ANOTHER thing to do? 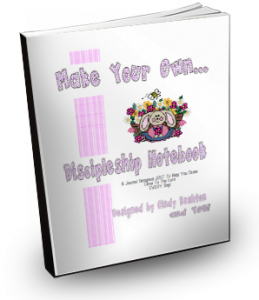 Oh, beloved friend, you are going to just LOVE making Lapbooks in your homeschool! Your children are going to LOVE making Lapbooks. Dont believe me? Join Cindy as she takes you through the simple steps of creating Lapbooks. 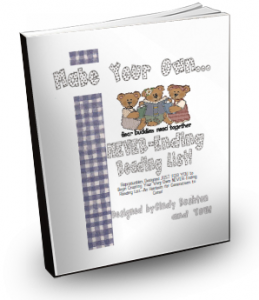 Cindy will take you by the hand and walk you through the easy steps of creating your own Lapbooks with your children. Ideas! Fun! Encouragement! Practical how-to's! All in one easy to follow book! This is going to be your favorite book! You simply CANNOT miss this one! Thinking about trying a fun writing project with your children? Need a bit more help? We have a SUPER deal for you! 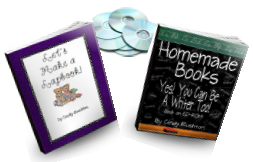 Order Let's Try Lapbooking and Homemade Books E-Books together and SAVE...PLUS get several free audio bonuses!! Learn more--Click the name of this product. 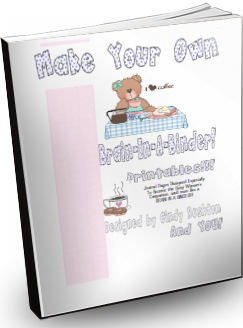 Make Your Own Brain-in-a-Binder Printabels is a system designed JUST for the homeschool mom...the busy mom...the busy household. If you need to get organized AND QUICK...this is the perfect resource for YOU. Simple, but complete! You are sure to find that this planning system will resemble your BRAIN-IN-A-BINDER. Covering areas of concern for today’s busy female brain, this one is sure to be your favorite. Plus! You can print JUST what you need and print as many copies as you need forever! Learn more about what is included by clicking the name of this product. Welcome! We are pleased to provide for you ready-to-print-and-use pages for your own Discipleship Notebook. Just as many of you, we have searched “high and low” for the perfect resource to walk in this spiritual journey with us. Our search led us to develop these notebook pages to fit our own family. As we have developed this idea to fit our family, the outcry has been tremendous for a packet, complete and ready-to-use for other busy families. I believe that you will find this resource to one of your favorites as it makes quiet times, church note-taking, Bible study, and even homeschooling much, much EASIER for you! E-book includes: Complete Instructions for putting together a Discipleship Notebook using our forms (These work great with other systems that you might want to use them with as well! )…Yearly Goal Pages…Monthly Goal Pages…Daily Bible Reading Logs…Daily Bible Study Note Pages…Memory Verse Pages…Prayer Request and Answer Logs…Prayer Requests for Family Members Log…Bible Verses for Praise and Worship Sheets…Songs and Praise and Worship Sheets…How I Can Minister to Others Study…Sermon and Bible Study Note Pages…Journaling Pages…Devotional Reading Log Sheets…Miscellaneous Note Sheets…Plus much, MUCH MORE! If that is not enough, each section shares encouragement and practical ideas for making the most of your time with the Lord each day! A MUST! We are SO excited to be introducing this FUN resource! This set is the result of creating reproducible pages for my children to use as they study through the Sue Gregg Baking with Whole Grains Cooking Course. 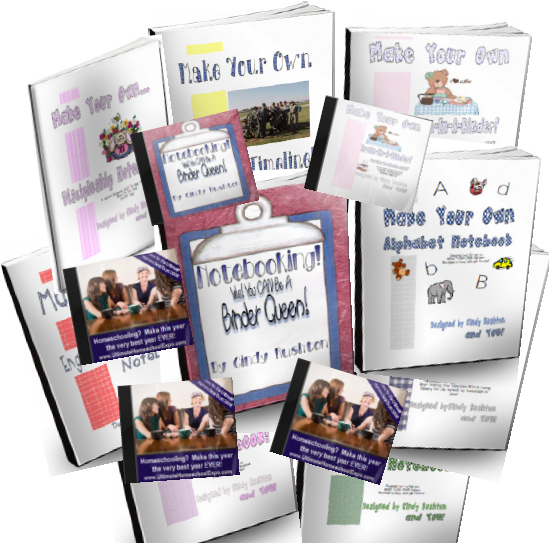 Of course, these reproducible pages are perfect for you to use with or without the course. Perhaps you are wanting to MAKE YOUR OWN Family Recipe Book. Well, this resource would be perfect for you too. All you will need to do is add a notebook, plastic sheet protectors, and copies of these printable masters. Oh, and your favorite recipes! Sure to be a MUST for you and your family! 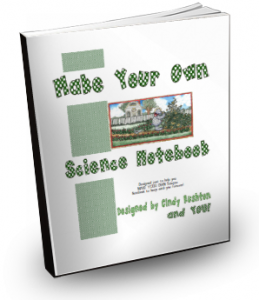 We are pleased to provide for you ready-to-use pages for your Homemaking/Cooking Course Notebooks. Just as many of you, we are currently studying Baking with Whole Grains. We have adapted this program to fit our own family. One of the adaptations that has made a world of difference is that we are creating our notebooks so that we not only include recipes from the cooking course, but we also collect and include other favorites from our family. As we have developed this idea, the outcry has been tremendous for a packet, complete and ready-to-use for busy homeschooling families. I believe that you will find this resource to make homeschooling much, much EASIER! 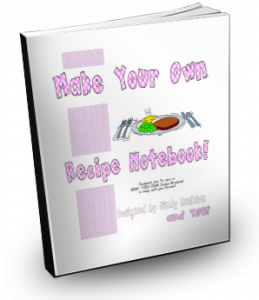 Just make your recipe notebook completely individual from your page colors to pictures of YOU and your meals to stickers to a wide variety of recipe clips. You probably have many ideas of what you want already, but just in case we included some examples of our Recipe Notebooks just in case you have no idea where to begin! There is NO wrong way to use this book…well, except if you DON’T use it at all! The RIGHT way is to have a blast using it! The best part about this book is that YOU are the author of this book. YOU are the illustrator of this book! So, have fun! Make YOUR OWN heirloom. Oh, and share it with a friend! WHAT did YOU think marriage was ALL about??? WHY do we even have marriage?? In our society, in this day, of all of the areas of womanhood that we really need to address, this is probably the most vital area. Go back to Genesis with Cindy as she encourages you to step up to your call as a Godly Helpmeet. You are sure to fall in love with your sweetheart AGAIN as you recommit to your calling anew!You are going to love this study! Topics Include: Going Back To God’s Design; What IS a Help Meet? ; What is The Role of the Godly Wife? ; Bone of My Bones, Flesh of My Flesh! ; It’s a Covenant Thing! ; Therefore Shall A Man Leave His Father and Mother; Cleave Unto Your Wife; Become One Flesh; One for Life; A Call for Me and for You! Whether you are considering marriage or you have been married for 75 years, this study is SURE to renew your commitment to marriage while challenging you to grow closer and closer to your sweetheart! Want to dig-in even deeper? Wish you had a friend to study with? Well, this is your perfect answer! 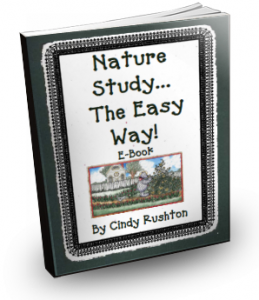 Join Cindy Rushton as she takes you by the hand and works through this study with you. She will definitely minister to your heart while you minister to the hearts of your precious children. Do you find yourself to be “challenged” in the area of Nature Study? Does it seem impossible for you to teach your children about Science and Nature Study...much less for those studies to be EASY? Yes! It is truly possible for Nature Study to be EASILY taught in the home. Cindy Rushton has a gift for making the most IMPOSSIBLE things become simple. Whether you are confused about where to begin teaching Science or you need some extra ideas for day to day lessons, this book will meet you where you are at! Need ideas for encouraging your young writers and QUICK? Ready for a FUN way to encourage your most reluctant writer to write AND like it??? This is a book that you simply CANNOT miss!! 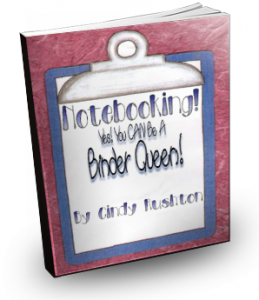 Cindy Rushton, who has become known through the years as THE BINDER QUEEN, uses Notebooking for EVERYTHING! She will show you how to begin whether your child is a toddler or the most skeptical high schoolers. This book is the most in-depth resource available to help your children deepen their studies and document learning all along the way! Of all of Cindy’s books, this one is sure to help you with any area of study that needs a little life! Don’t miss this one! Want to order with a friend? SURE! We are offering our Ebook for a SUPER SPECIAL when you buy one for yourself AND a friend! BUY ONE-GET ONE HALF OFF! Just order BOTH for $50.00. We will need for you to make a note that you are taking advantage of our BUY ONE-GET ONE HALF OFF DEAL. Include email addresses for both recipients. You will bless your friend AND yourself. Tired? Weary? Find yourself overwhelmed by the tremendous load of motherhood? Do you consider this one of the most demanding, yet rewarding roles you will ever fill…yet that send shivers down your spine? Join Cindy as she exhorts you in your high calling. In this series, Cindy shares her heart about those good days and bad days…sweet memories and rather bitter moments that have made life so precious all along the way. 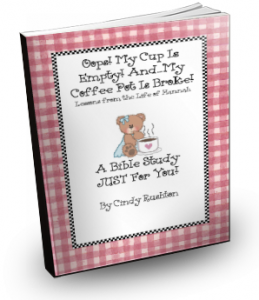 Taking you on a journey back in Scripture to meet Hannah, Cindy will share God’s answers to her heart cry during times she has found her OWN cup empty while “everything” continued to hit all at once!! The biblical insights are sure to draw YOUR heart to your Heavenly Father AND to those you are pouring into. Join us as Cindy ministers encouragement and direction straight from the Word of God to your heart, soul, and mind! Don’t have ANY idea of where to begin teaching the Bible? Would you like to have one person mentor you through just ONE study? This is your helper! 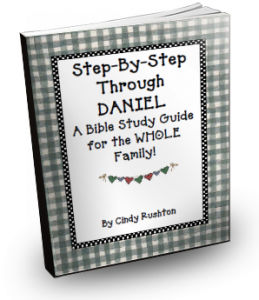 Cindy Rushton gives you step-by-step lessons through the first six chapters of the book of Daniel. Great for those wanting to dig deeper into the Bible! Perfect for your family Bible Study time! Takes a deep look at the lives of Daniel…Shadrach, Meshach and Abednego… King Nebuchadnezzar…King Beltshazzar. Includes copywork, memory work, and reading suggestions. Includes the following articles: Nature Studies the Natural Way, Nature Studies to Remember, Nature Studies...Who Me?, The Seasonal Table, A Spring Visit to Mother Nature’s Toyshop, Setting up a Nature Notebook, Our Favorite Resources, Writing a Process of the Lord, Encouraging our Young Writers, Copywork...Answers to Your Questions, Scrapbooking in the Homeschool, part one, Binderized! Using Notebooking in the Homeschool, Memories, Narration...Beyond the Test!, Narrating at Crooked Pines, In Charlotte Mason’s Dictation Class, How to Use Narration, Samples of Our Children’s Pen, Scrapbooking in the Homeschool...Part 2 The Process...PLUS MANY MORE! Includes the following articles: Proverbs 31 for the Homeschool Mom, Letters We LOVE, Education is an Atmosphere, Homemaking on Top Huckleberry Hill, Great Resources for Homeschooling Homemakers, Education is a Discipline, Unschooling and The Charlotte Mason Approach, The Formation of Habit, The Importance of Routine, Charlotte Mason on Habit!, Schooling or Educating? How to Get Free From School At Home, Testing for Life in Your Homeschool: Seven Natural Vital Signs, Preparing Your Home for a Lifestyle of Learning, A Christmas Tea Party!, At Battle, Education is a LIFE...Even for MOM!, Time for Tea With All of You! (Letters from Subscribers!! ), Worldviews...For Such a Time as This!, Education is a Life, The Presentation of Living Ideas, Choosing Resources for Read Alouds, The Process of Learning: God’s Way, Making a Toddler’s Lifestyle a Learning One, Real Education: Charlotte Mason Style, Jumping Into The Charlotte Mason Approach, Making Plans While Following Delights, Preparation for Your Future Writer, From Tribulations to Hope, Relationships...Ahhh, Marriage!, What About Teaching the Older Child??? Includes the following articles: Stepping Up To The Call...Time for Pruning?? ; Hedge of Thorns (Narration by Elisabeth Rushton); Letters We LOVE; Iron Scouts of the Confederacy (Narration by Matthew Rushton); Matthew’s Bookshelf; In the Herb Garden: Calendula; Developing Your OWN Philosophy of Education; Commitments of a Homeschooled Pre-teen By Matthew Rushton; Digging Deeper into the Study of Education; Education is a Science of Relations...Relations with God; Stepping Up To The Call...Daily Manna; Come Home... It’s Time for Tea; Friendship Quilt: A Treasured Heirloom Keepsake; In the Herb Garden...A Little About Rosemary; Cherishing Your Marriage; How to Break Your Child’s Heart in 10 EASY Steps; Time for Tea; Stepping Up To The Call...Fill Your Cup with Vision; Focused: A Story and A Song; Fill Your Cup FULL of Romance; Teatime Thoughts from Teatime Treasures; Would the PERFECT Mother Please Step Forward; Making *Not Back To School* Special; Scheduling Our Days to the Honor and Glory of God; Our Simplified Approach to Real Learning. Includes the following articles: Teatime Thoughts; Exodus; Quick Tips for EASY Record-keeping; The Story of My Knife Business (by Matthew Rushton); Give Me A Burden, Lord…YOUR Burden; Mentoring One-on-One: A Note from Debby; Teatime Thoughts…Dessert for the Soul; Tired from the Journey? SIT DOWN; I AM: Everything We Will Ever Need; Fill Your Cup Back Up; The Zombie You Live With; The Students Write: A Notebooking Acrostic; A Sampling from NOTEBOOKING! YES! YOU CAN BE A BINDER QUEEN: Timeline Notebooks; Let Us Strive for the Gold; Betty’s Bits; Trials or Stepping Stones. Ministry at Home: A Ministry of Rest; and from each issue, Letters We Love. Includes the following articles: From My Heart to Yours; The Great I AM: Abba Father; God is Our Portion; Through the Seasons in Life; Tea Time??? ; Some Funnies Just to Lighten Your Heart; Lessons I Learned Along the Way; The Struggle to Honor Our Husbands; Kitchen Korner; From a Mother’s Heart...Enjoying the Journey; Lord, I Want To Know What Love Is; The Great I AM: Ishi, Our Husband! ; Seeing The Unseen; Dreams For Sale; Purity The ONLY Way; Some Funnies To Lighten Your Heart: Coffee! ; Betrothed in the Desert; Kitchen Korner: Let’s Have Tea! ; A Letter to a Newlywed; Marriage: It’s A Covenant Thing! ; A Wise Woman Builds; Preparing for Christ; Assorted Non-Sense to Give You A Giggle! ; Consider the Sixty-Six Books of the Bible; Making Memories at the Mall; Real Excuse Notes Written By Parents; A Heart for the Home: Awesome Activities; Great Christmas Read-Alouds; Just What IS Godly Womanhood? ; Kitchen Korner; Letters We Love, Answered by Matthew; What Counts? ; Some Funnies Just to Lighten Your Heart! A Diet We Might Can Do; 1 Corinthians 13—The Christmas Version; Just TOO Busy; Teach Me Lord, That I May Teach; Build a Ministry—A Family Ministry. Includes the following articles: From The Editor’s Desk: At Battle, What a Way To Battle! Worship, A New Beginning! 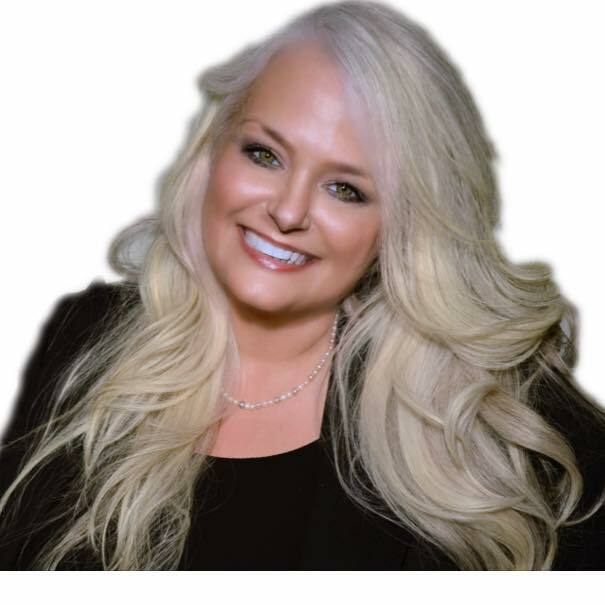 Time for Tea with Tracy Traylor, 50+ Secrets for Surviving Your Struggles, Die Hard, Time Out, Oh! It’s My Flesh Again, Dealing with the Dragons in Life, Ministering to the Hurting, Maintaining Friendships, I’ve Learned, Socks! Talk About a BATTLE, Celebrate Fall, The Sin of Worry, To My Child, Quick Tips for BUSY People Who Want to Get Things (Well…The BEST Things!) Done, Kitchen Korner..., Some Funnies Just to Lighten YOUR Heart, Restoring Balance To COMPLETELY Overloaded Lives, 67 Ways to Reduce Stress, Look! There’s Potential Behind the Problems, His Wheel—His Will, The Necessity of Discipleship: Hand-to-Hand Combat, Remaking Martha, Your Attitude Determines Your Altitude, Time for Tea for Teens—Unconditional Love, In Pursuit of Destiny, The Race, Great Truths, Ready to Make Your Own Home and Family Organizer? ?, Quick Tips For the Perpetually Late, Disorganized, Stressed-Out Mom, Taste and See, Develop Your Own Plan for Easy Meals, SIX FREE Reproducibles for YOUR Menu Planner, Oh! Socks! HELP; Did You Know?? ?, Bounce Dryer Sheets, Some Funnies Just to Lighten YOUR Heart, A Heart for Home: Tips, How to Destroy Your Man in Just FIVE Years, How to Help Your Husband Be ALL He Can Be, What is Love?? ?, Great Days Ahead, Women of Influence, The Story of The Urban Homemaker, Time for Tea with Marilyn Moll, High School! Wrapping It All Up, Passionate about The Passion of Christ, A Pastor’s Response to the Passion of Christ, No Excuses! Includes the following articles: Time Out! To Fill YOUR Cup!, I Think I am Solar-Powered...I NEED The Son!!! by Elisabeth Rushton, Daily Manna, Our All Time Favorite Bible Study Resources..., 50+ Secrets for Survibing Your Struggles!, Help! I Have NO Idea Where to Begin Homeschooling!, Getting Started Homeschooling On The Right Track!, Quick Tips for Making Homeschooling Great!, Easy Record-Keeping for the Reluctant Homeschool Mom!, Setting Up Your Home to Learn!, Planning FUN and EASY Lessons, Our TOP TEN (OR MORE) Favorite Books EVER!, Let's Try Notebooking!, A Notebooking Shopping List..., Step-by-Step Help for an EASY History Study, A Timeline Notebook--Easy as A, B, C!, Let's Try Lapbooking..., Let's Make Easy Booklets..., Gearing Up for Another Big Year! OR! What I am Going to Do On Summer Vacation..., The Story Behind Matthew's Cutting Edge by Matthew Rushton, Tips from Great Men and Women in Business by Matthew Rushton, Quick Tips on How to Begin Your Own Busines (And...Call It School!) By Matthew Rushton, 10 Tips Sure to Make Your Business Great! By Matthew Rushton, So...You Wanta Be a Writer? Get a Website! Easy E-Books and Books on CD..., Develop the Disciplines of a Writer!, Quick Tips for the Perpetually Late, Disorganized, Stressed Out Mom!, Restoring Balance to Completely Overloaded Lives, Just Too Busy, EASY Homemaking Ideas for the Busy Homeschool Mom!, Quick Homemaking Help! Tips to Help Make Managing the Kitchen EASY (Well, Easier! ), What About Children and Chores?, Destressing the Stressed Out Mom!, Scheduling Tips..., How To Destroy Your Man in Just Five Years!, How to Help Your Husband to be ALL He Can Be!, 101+ HOT Ideas for Romancing Your Sweetheart!, Romancing Your Woman--Easy Ideas for You Guys!, Romancing with CHOCOLATE! Quick Dating No-No's, A Spicy Shopping List for the Romantically Inclined...PLUS! Much, Much More! SAVE! The WHOLE Set! 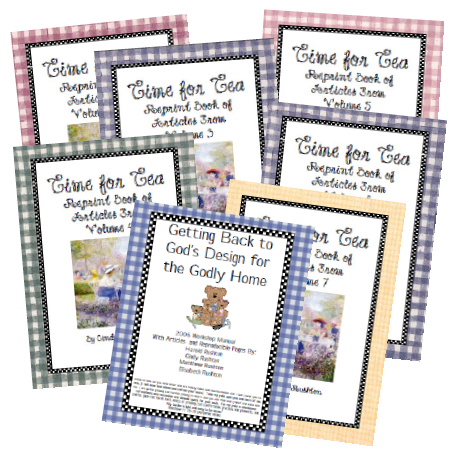 Time for Tea Magazine Reprint Book Set! ALL EIGHT YEARS! Includes all 7 volumes in one set. Bored with the same old, same old meals? Just wish you could get just ONE fresh idea? What if you could link up with over 40 other moms for menu plans...meal ideas...recipes...shopping lists...and even planner pages? Well, YOU CAN! 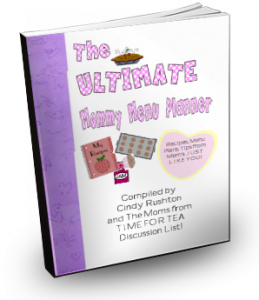 THE ULTIMATE MOMMY MENU PLANNER includes over 280 pages full of great recipes, meal ideas, and menu plans from over 40 REAL-LIFE moms, printable planning sheets, tips sure to make managing meals easy, plus much, much more!